CEBUANO businessman Peter Lim welcomed yesterday a task force’s finding that there wasn’t enough evidence to bring him and Kerwin Espinosa to court on charges that they conspired to sell illegal drugs. “Naa gyu’y Ginoo sa langit (There is a God.) I am a victim of (a case of) wrong identity. I was hospitalized for a long time when I was alleged to be in Thailand. No matter how powerful you are, you cannot fabricate a record at the hospital where I underwent dialysis,” Lim said. Journalists in Manila obtained copies of the Department of Justice’s (DOJ) resolution on Monday, nearly three months after it was completed. It will be reviewed by the justice secretary. “This is sad news for us. However, this is not final yet as it is still subject to automatic review by the DOJ secretary,” said Police Regional Office 7 Chief Robert Quenery. Less than three weeks after his term began in July 2016, President Rodrigo Duterte pointed to Peter Lim as a drug lord who operated as part of the Chinese Triad. He then urged Lim to report to the National Bureau of Investigation and the Philippine Drug Enforcement Agency. “I believe in God and I believe that there is really justice in the country,” Lim told SunStar Cebu yesterday. He pointed out that when (Marcelo) Adorco alleged that they had met in Thailand, he had been in the hospital for a confinement that lasted 45 days. His passport shows he was not in Thailand at the time he was alleged to be there. 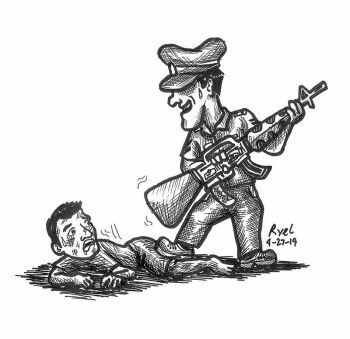 A panel of prosecutors recommended the dismissal of the complaints against Lim and Espinosa, whose father, the late Albuera, Leyte mayor Rolando Espinosa Sr. had been shot dead while detained in late 2016. 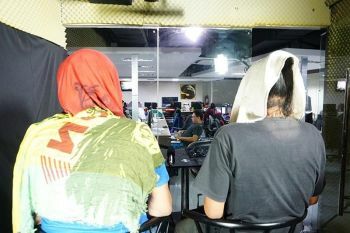 It was the Criminal Investigation and Detection Group that filed the complaints against Lim and the younger Espinosa for alleged violations of Section 26 (conspiracy) in relation to Section 5 (sale) of the Comprehensive Dangerous Drugs Act or Republic Act 9165. The DOJ also dropped the complaints filed against respondents Peter Co, Max Miro, Lovely Impal, Lovely Ruel Malindangan, Jun Pepito, Jermy, alias Amang, alias Ricky, alias Warren, alias Tupie, alias Jojo, alias Jaime, alias Yawa, alias Lapi, alias Royroy, alias Marlon, alias Bay, Peter Doe, John Doe, Robert Doe and several unidentified others. The same complaint against Marcelo Adorco, a former bodyguard of Espinosa’s, was also dismissed. Adorco’s testimony after his arrest in a buy-bust operation in Albuera in June 2012 was used against Espinosa and Lim. In Adorco’s affidavit, he alleged that Espinosa’s group had conspired with drug suppliers in Central and Eastern Visayas, namely, Lim, Co and Impal. But Assistant State Prosecutors Michael John Humarang and Aristotle Reyes said that the testimony of Adorco was just hearsay. “He only overheard from Kerwin’s telephone conversation that drug supplies, allegedly, will be coming from Peter Lim or Peter Co,” the resolution said. The prosecutors also noted that the complainant failed to present evidence, such as illegal drugs, to strengthen its allegations. “The dearth of complainant’s evidence and Adorco’s unreliability as a witness thus constrain us to dismiss the present complaint against the respondents,” said the prosecutors.